Filmmaker Michael Moore has proven to be an astute prognosticator, being among the few who foresaw President Trump’s 2016 election victory. He recently shared another of his election-related visions, this time looking back at a moment that, if handled differently, he thinks may have swung the race in Hillary Clinton’s favor. In an interview with Vulture, Moore recalled, "Remember at the 9/11 memorial last year, she fainted and the press found her like three hours later? And they are all across the street yelling at her, 'Hillary, Hillary, how do you feel?' And she looks at them, smiles and waves, and goes, 'I feel fine!'" "I swear to God, she would have won the election had she said — ‘I feel like s**t! See ya in three days,'" Moore said. "I mean, wow! The honesty of that. The humor. The humanity. Everybody would have loved it." That is not, of course, how the situation played out. Clinton and her team were slow to reveal details about the incident and its cause. The Washington Post reports that the first explanation offered involved her simply being "overheated." 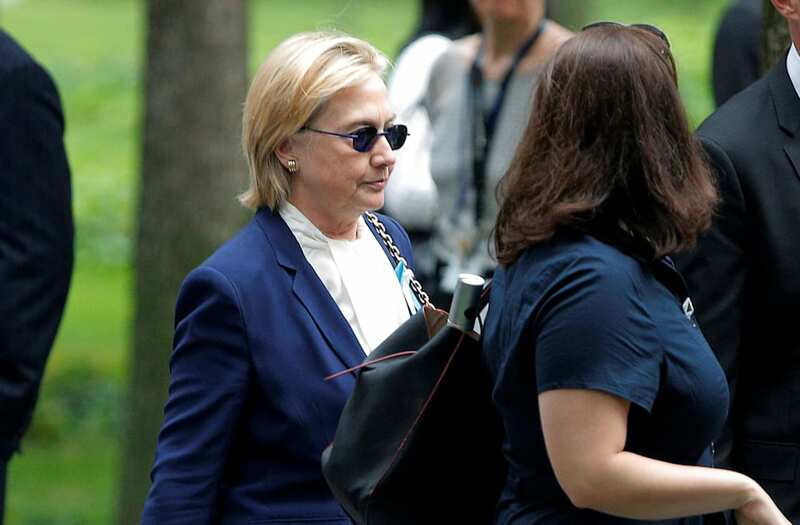 Later, according to CNN, it was revealed that Clinton had been diagnosed with pneumonia days prior to the event, resulting in a great deal of scrutiny over why that hadn’t been announced sooner. Two weeks left to flush for Guggenheim's gold toilet called "America"